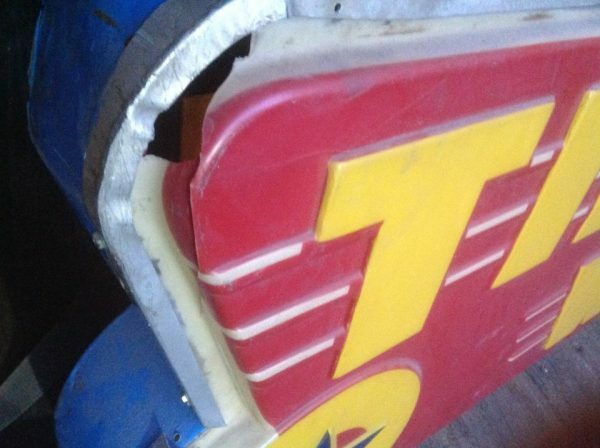 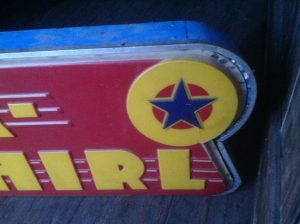 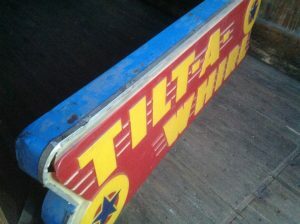 Vintage carnival ride Tilt A Whirl sign in as found condition. As you can see from the photo below, sign has a few broken edges, hairline cracks and smudges. 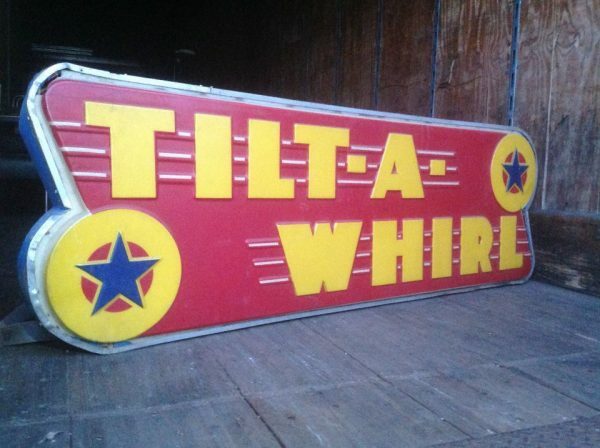 Tilt signs are getting harder to find in any condition. Sign will need restoration. Take advantage when you see one………..